I’m a great fan of the Prelinger Archives which is home to so many items like this video I’ve heard about recently from various ham radio email lists. I like how the components of the earliest electronics and wireless were so basic and ‘natural’. Think of hand made capacitors and resistors using traces of graphite on paper. Valves (or tubes) of course were another story but still capable of being ‘homemade‘. 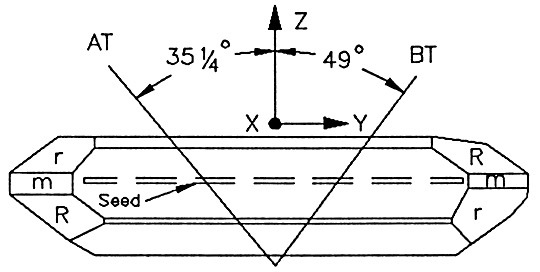 I love the idea that an accurate, literally rock solid frequency could be achieved using a piece of a very common rock – admittedly a pure piece of quartz cut just so. This video details the elaborate and meticulous manufacture of quartz crystals during World War 2 by Reeves Sound Laboratories in 1943. The 41’24” video can also be viewed (free of youtube ads etc) and downloaded via the Prelinger Archives. Most of the ‘radio quality’ quartz was mined in Brazil which ceased its neutrality in 1942 and joined the Allies. The story of quartz crystals during WWII is told in ‘Crystal Clear‘ by Richard J. Thompson Jr. (Wiley) 2011. 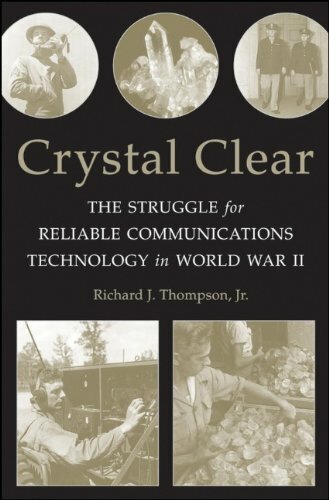 “Crystal Clear – The Struggle for Reliable Communications Technology in World War II” by Richard J Thompson Jr.